HTC's latest Android phone is nice and small, but does it offer too little? A rare off moment from HTC. If this was £99 it'd be a formidable entry-level Android phone, but for over £200 the Wildfire S is lacking compared with the competition. 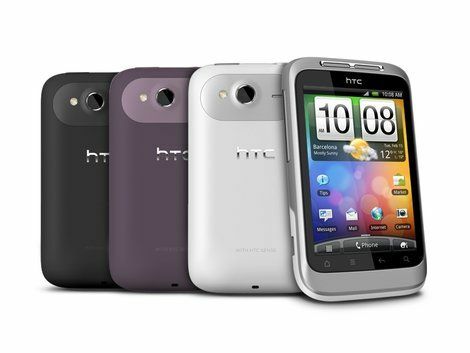 The HTC Wildfire arrived in mid-2010, when the world was still reeling from the impact of the sensational HTC Desire. And the Wildfire was almost as popular, coupling HTC's fantastic Sense user interface with a smaller, solid and capable little body – it was a lot of people's first, affordable smartphone. But things are a little different in 2011. The dual-core "superphones" have arrived, which means something with a lowly 600MHz processor is going to have to win fans via features and price rather than power. The HTC Wildfire S isn't exactly a cheap phone, either. Currently on sale for around £220 through the SIM-free retailers, there are now plenty of extremely capable Android-powered phones out there for less money – such as the Samsung Galaxy Ace or LG Optimus One. It's going to be a bloody fight, this. HTC has refreshed the design substantially, giving the Wildfire S the same workmanlike black and chrome look as seen in the excellent HTC Desire S.
There are no physical buttons on the front of the phone, with HTC opting for four capacitive touch-buttons. These are your standard Android Home, Menu, Back and Search options. They're responsive, plus HTC has put in a little vibration feedback to reassure your brain that your finger did indeed just hit the right spot. HTC has removed the optical trackpad, which has allowed it to make the Widlfire S a little shorter than last year's model. It's a very tiny phone and also manages to be lighter – 105g versus the original's 118g. The 3.2-inch screen runs at 320x480 resolution, so obviously isn't going to be as sharp as displays found on more expensive phones. But it is pleasingly solid, nice and glassy and responsive to even the lightest of touches. Given that the old HTC Wildfire had a screen outputting at a shameful 240x320, this is still a big step up. It's not particularly sharp, mind – there's a noticeable mesh over everything if you look closely. Round the back is your classic HTC moulded rubber cover, which is grippy and feels pretty solid. There's also the 5MP camera lens and, thankfully, an LED flash. There's a proximity sensor in the front case, allowing the Wildfire S to dim the screen when you press it to your ear. But there's no front-facing camera here. It's a chunky, well-made little phone that feels very nice in the hand and impressively solid. But is it any good when you turn it on?